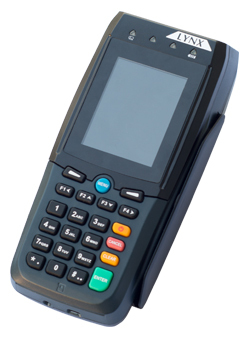 E2000 is a smart handheld POS terminal developed by LYNX for various payment applications. With compact design, exquisite appearance and easy operation, this terminal can be applied for bill payment, small amount cash payment, voucher printing, money transfer, sales, insurance etc. Based on wireless POS and combined with background management system, E 1000 features wireless communication, real-time data transmission, software upgrade and user-friendly interface.